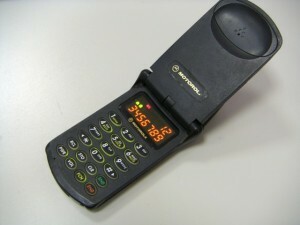 Motorola introduces the StarTAC, the first clamshell flip cell phone. The smallest and lightest cell phone available at the time, the StarTAC’s “wearability” made it one of the first cell phones to achieve mainstream popularity. About 60 million StarTAC phones were sold over the series’ lifetime, becoming the stereotype for what most people refer to as “flip phones,” even to this day.